The next climate change denier we meet is getting punched in the face. Two weeks ago we told you why your groceries are so damn expensive (in case you forgot, it mostly comes down to droughts and diseases in various growing regions). Unfortunately, it looks like the cost of things like coffee and beef isn’t just spiking in supermarkets, but on restaurant menus as well. A drought in Brazil has pushed wholesale coffee prices up, and the trickle down effect has already reached Java consumers at Starbucks, which hiked its prices last month. Dunkin’ Donuts is expected to do the same this week, reports CNN, while Hershey Co. marked up chocolate in response to the higher cost of cocoa. It’s a sad day when a thrifty shopper has to choose between coffee and chocolate, but it’s a tragedy when a Starbucks iced white chocolate mocha starts to look like a canny choice. To add insult to injury, burritos have become dearer due to a drought in California that’s affected beef and avocados. But that’s where consumers have collectively decided to take L’Oreal’s “Because you’re worth it” slogan to heart: According to Eater, Chipotle’s second quarter sales are up 17% even though the chain raised its prices earlier this summer. 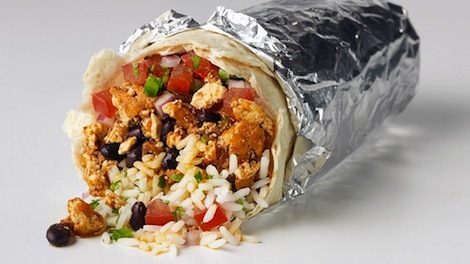 While it’s heartwarming that a heftier price tag isn’t coming between us and our beloved burritos, the fact that going to Chipotle or Starbucks increasingly counts as “spoiling yourself” is downright depressing—as is the fact that we can’t afford to eat our feelings about it anymore.